Brand New Pups Bounce And Slide Bouncy Castle For Hire In Bourne, Peterborough, Spalding and surrounding areas. We just can't help ourselves, every time we see a brand new shiny castle, we just have to buy one! We saw this new design and felt it would really suit us. Not only does it have the beautiful glossy material which stays lovely and clean and just looks fab, but it also has the little slide and the amazing built in disco! We do already have a couple of pups bouncy castles already, but they're not the all singing, all dancing disco bounce and slide variety. This one is perfect for indoors in halls at only 9.5ft high, it fits in most local halls including Bourne Abbey Church Hall and Elsea Park Community Centre. But also on lovely sunny summer days it can go outside for garden parties. What could be better than a barbecue with friends and this little beauty to keeps the kiddos happy? It's also a lovely design that we just fell in-love with instantly. We saw another company had bought one and instantly though... "I NEED that"! We're not generally big spenders / shoppers, bu then we see a great castle, we just can't resist! 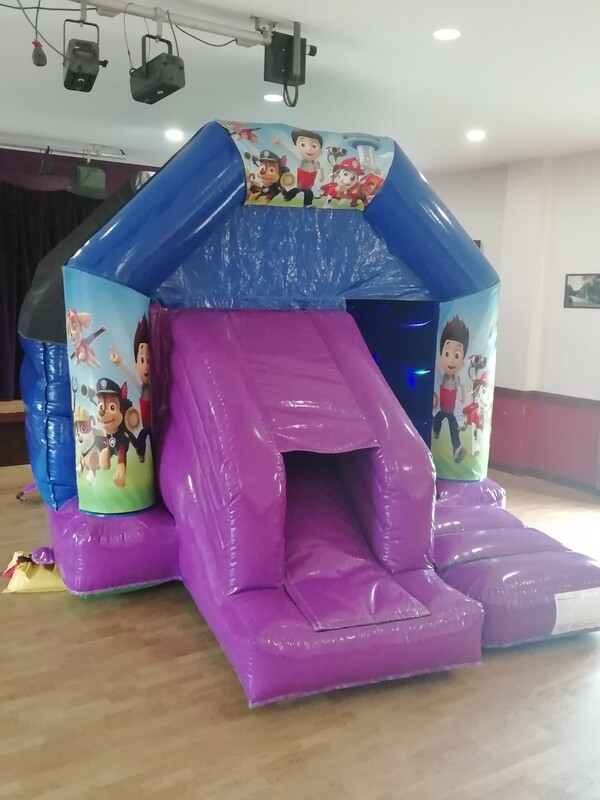 It's a great bouncy castle by itself, but remember that we can also include it on any of our party packages or soft play parties. Heck, you can even hire this bouncy castle in conjunction with one of our amazing hot tubs! This castle is also a little special as it is one of our velcro castles. Not that you would ever know, but the artwork is actually heavy duty velcro panels meaning we can buy lots of new themes. I really need your help in deciding what to buy next though. Should we go for a beautiful princess and pirates bouncy castle theme or maybe something girly? Having 2 boys ourselves, it's always pretty easy t choose the next boyish craze, but we always struggle more with girly themes. Maybe Mermaid would be a hit? Anyway, I'm now off to shop for new themes to put on our fabulous new disco bounce and slide bouncy castle.